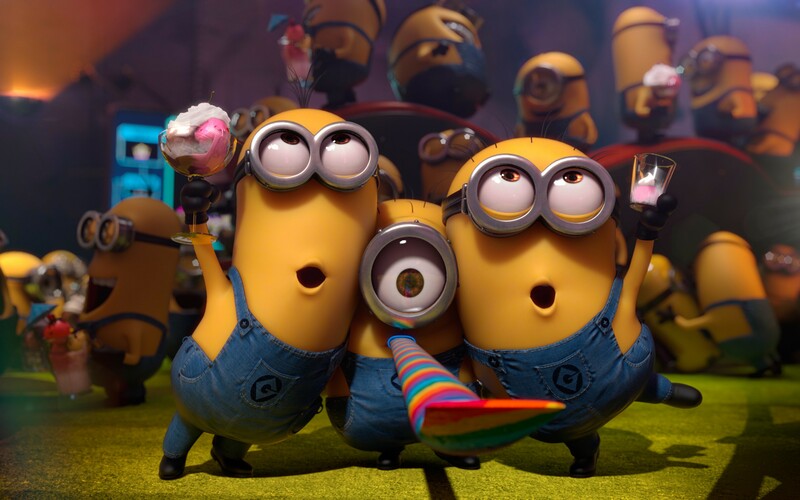 Minions : What a Minion-tastic film! 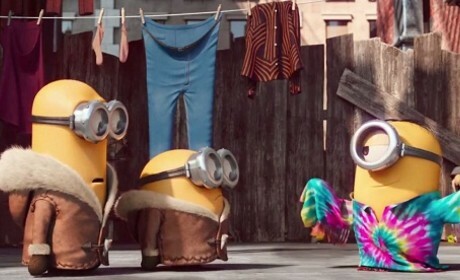 If you thought Despicable Me 2 was the end of the little yellow creatures in the denims era, you were wrong. 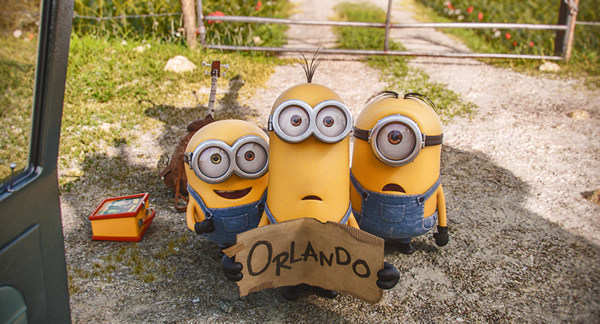 Universal Studios is back with Minions, a third edition to the Despicable Me series. Minions features our favourite characters from the previous films, Kevin, Stuart and Bob who are in search of a boss after accidentally destroying all of their masters. Their only goal is to serve the most despicable master they can find. The Minions isolate themselves and live in Antarctica, and as time passes, our heroes Kevin, Stuart and Bob begin to get bored and then decide to go on a mission to find the world’s greatest super villain and serve them. The three of them end up at Villian-Con and are hired by Super villain Scarlet Overkill (voiced by Sandra Bullock), who has an evil plan in action. The Minions tumble through America of the hippie ’60s, ending up in Beatles England, where a known criminal gets crowned the Queen of England. On their journey, this cute trio occasionally breaks into songs, singing in their absolutely nonsense mix of languages, and you’ll be surprised at how happy it’ll make you. Their unidentifiable dialect may be one reason the movie does well overseas. This is a film where dubbing of its main characters will prove unnecessary. The goggled, capsule-shaped, yellow-coloured devils who stole hearts in the previous instalments of the popular ‘Despicable Me’ get their own movie and quite frankly, kill it. The jokes are quick with enough silliness to make young ones happy, and the mature jokes at the expense of The Beatles, Richard Nixon, and the moon landings makes all the parents laugh. 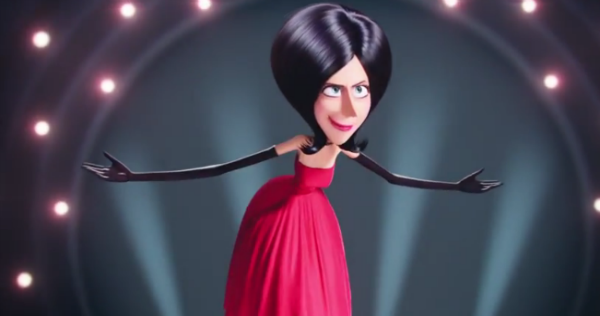 The animation is spot on, the satire is spot on, and there’s nothing about the movie that’s slobbish and boring. It’s all fast-paced, one thing leads to another. There are scenes you will absolutely adore, and there are scenes that will make you laugh until the end of time. Watch Minions if you’ve loved the the Despicable Me films. 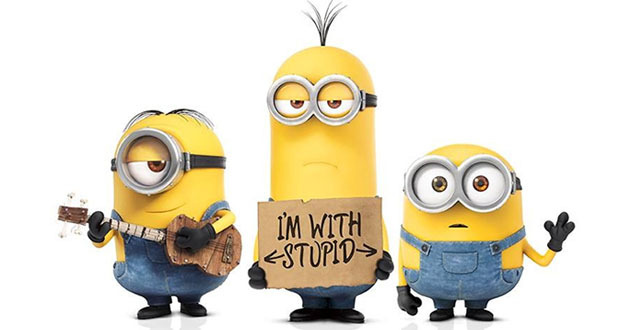 Watch Minions if you love Kevin, Stuart and Bob. 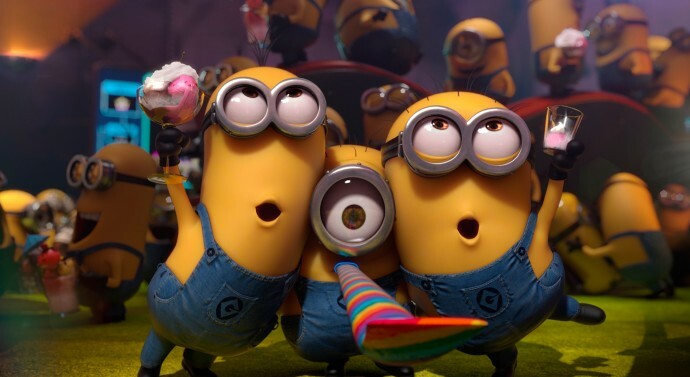 Moreover, watch Minions because we guarantee you’ll enjoy it.